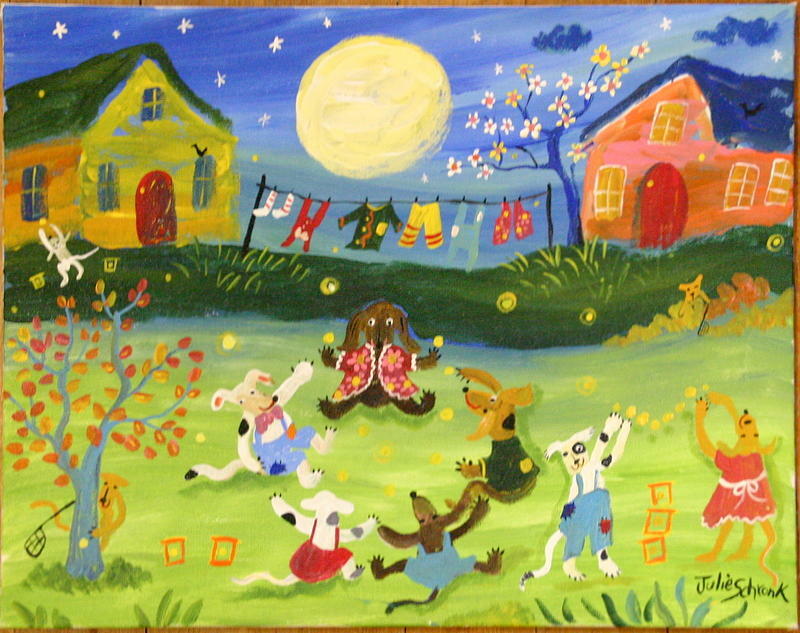 Doggone Good Firefly Evening is a painting by Julie Schronk which was uploaded on January 15th, 2010. Sometimes I like to paint firefly evenings as they are so magical, but this one includes our canine friends collecting fireflies and having a grand time. Notice the string of laundry on the line in the background and the little pup peeking out from behind the tree and the old yeller moon! This painting has great colors and demonstrates the kind of whimsical folk art I am most known for. There are no comments for Doggone Good Firefly Evening. Click here to post the first comment.